SCOOBIE DO was introduced in 1995- Six years later in 2001, Joe Nagaike joined and today they are a 4 men rock band. In 2006 they recorded under their own label, “CHAMP RECORDS”. Their live concerts are entirely self-produced and have shown the spiritual independence of a young generation. 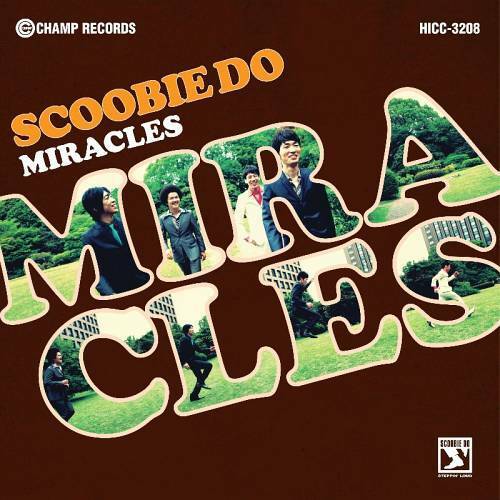 SCOOBIE DO’s latest album “MIRACLES”! pays respect to such artist’s as Smokey Robinson, Curtis Mayfield, Al Green, Michael Jackson, Kiyoshiro Imawano, Akira Kushida, Yasuharu Konishi, who are all pioneers of the break through on the border of soul and pop.. All 10 songs are filled with both large and small miracles from our daily life stories. Sweet and dramatic! You will sigh deeply, laugh hard, cry tears, move your body and fall in love over and over again. Even if you have never heard SCOOBIE DO’s music, their latest album is an excellent choice and will no doubt remind you of all those forgotten common things through their song and music.